Is Your Website On Page One of Google ? This is an extremely important part of having a website. Your website is a tiny needle in a huge virtual haystack. Google accounts for over 90% of all UK searches and has billions of web pages indexed in its database - how will anyone find yours? 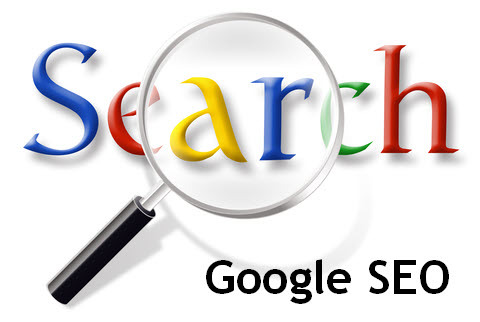 If customers cannot find you listed on Google you will loose most of your prospects. Google is the No. 1 driver of viewers to your website. 92% + of people don't look past the first page on Google. People are not usually looking for your company name, they are searching for what they need using keyword search terms. So if you are a website designer in Stockport like me, they are searching for 'stockport website designer' or 'web design stockport' - which is probably how you found me - not 'home page web design'. You need to be on page one of Google for as many of your keyword search terms as possible. Search engine optimisation of websites which is one of my specialities - I can optimise all the pages on your website so that Google can find it using your keywords - using my experience and specialist search engine optimisation tools I can make the necessary changes to the code on your web pages. Your Search Engine Positioning is also determined by how many other websites link to yours, the quality of that link page, the relevance to your business of that page and the keyword text in that link. So if you want to raise your search positions on Google you need to encourage other relevant website owners to recommend your website as being useful to their users. Getting your website to appear on the first page of Google for 'generic' keywords such as 'kitchen sinks' is difficult, time consuming and expensive. These nationwide and sometimes global keywords have a lot of competition from other website owners who are spending a lot of money on search engine optimisation! For keywords with brand names such as 'blanco kitchen sinks' and keywords with local place names such as 'kitchens stockport' it is usually quicker and less expensive. It should be noted, however, that no one can guarrantee that you will achieve a page one position on Google - this is always up to Google. What you can do is make sure your website is properly optimised for your keywords so that Google can find it. You should not under any circumstances pay a company to add links to your website. This is against the spirit of Google and not helpful to your viewers. It could result in Google penalising or banning your website from their search engine. When you search on Google you usually see some results at the top of the page and some at the bottom of the page which have a small 'Ad' symbol in a green sqaure to the left of the website address. This denotes that these are paid for advertisements. These advertisements look like normal search results but they are paid for - the website owner will pay Google everytime a link is clicked. To be certain of gaining traffic to your website from people who are genuinely interested in your products or services you will need to do the Google Adwords (otherwise known as 'pay-per-click'. For this you would need a Google Adwords account, a monthly budget and a set of correct keywords and advertisements. Call or email me if you'd like to know more about this.